2010 is the 30th birthday of Candice Reed, Australia’s first in vitro fertilisation (IVF) baby. The first 30 years of IVF have been revolutionary times. In the early days, pregnancies were few and far between and every baby born was a cause for celebration. 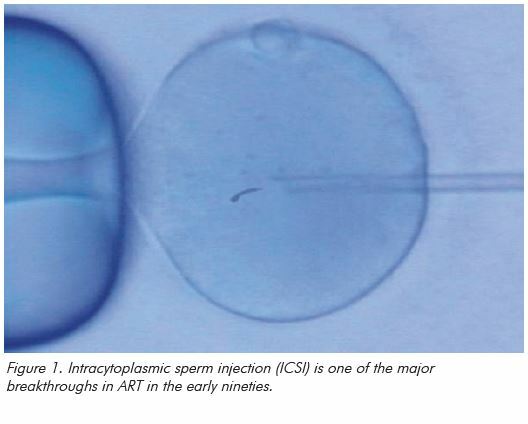 In the 30 years since, there has been a steady increase in our understanding of the growth needs of early embryos, we have refined ovarian stimulation regimes and, in the major breakthrough of the 1990s, developed intracytoplasmic sperm injection (ICSI) as a treatment for male factor infertility. We have now reached the point where IVF treatment is commonplace and one in thirty babies in Australia is born from assisted reproduction. So what does the future hold now for ART? If these success rates can be reproduced in Australia, the ability to store oocytes prior to fertilisation could make a significant contribution to addressing one of the big ethical concerns of ART, the gradual accumulation of large numbers of early human embryos in storage. In addition, this development has great importance for single women who may seek some form of ‘reproductive insurance’ prior to undergoing cancer treatment. However, the role of ’social’ oocyte freezing in women with age-related fertility decline is less clear. It is important to note that success rates from oocyte freezing around the world have been exceptionally variable.2 In addition, experience of thawing (as opposed to freezing) of unfertilised oocytes in Australia remains limited and one cannot extrapolate from large overseas egg-freezing programs, using young egg donors, to the anticipated outcome for a 38-year-old woman in Australia. A major focus of clinicians in Australia will be to continue to strive to make IVF easier for women going through it. The development, in the past decade, of pen-style injection systems, the use of lower follicle-stimulating hormone (FSH) dosages and, critically, the move towards greater uptake of gonadotropin-releasing hormone (GnRH) antagonist down-regulation protocols, have all served to make an IVF cycle significantly less of an ordeal than before. Looking into the near future, it is likely the trend towards lower dosages and greater uptake of antagonists will continue. Recombinant long-acting FSH combines the FSH molecule with the beta-chain extension of human chorionic gonadotrophin (hCG) to give a form of FSH with an action lasting for a full seven days.3 There remain significant concerns about the potential for such a molecule to increase the risk of ovarian hyperstimulation syndrome. However, there is no doubt that, for carefully selected patients, one single FSH injection instead of seven daily injections will be attractive. In the late 90s and early 2000s, there was a dramatic increase in the success rates of IVF in association with greater understanding of the nutritional and environmental needs of the early embryo. In the past few years, this rise has plateaued1 as we have come up against the unavoidable fact of the biological variation in embryonic genotype. Further improvements in success rates may only arise through better understanding of embryo quality and thus more rapid identification of the right embryo for transfer. A number of approaches are currently being explored for this:. The use of metabolomic techniques to study the waste products of developing embryos and predict the likelihood of successful implantation. The use of new imaging techniques to study the unfertilised egg, particularly its spindle and the morphologic features of the developing embryo. The use of more sophisticated genetic techniques, possibly involving microchips, to predict the genetic makeup of embryos. Ten years ago, embryonic stem cells were thought to foreshadow a massive advance in medical technology, creating the possibility of being able to generate medical spare parts for diseased or damaged organs. While there have been enormous advances in stem cell biology in the last decade, these have not yet translated into clinical developments. It now seems that the role of embryonic stem cells, as opposed to adult stem cells, will be very limited. There is growing awareness of the small increase in congenital anomalies associated with ART conception.5 Recent research suggests that couples who need to use ART to conceive may already be at greater risk of congenital anomalies6 and that it may be this rather than anything inherent to the IVF process that explains the difference. However, more detailed research is needed to understand the aetiology of this problem and this research is likely to give us clearer insights over the next few years. Finally, in the course of the last 30 years, we have come to understand the importance to the child conceived from donated gametes of understanding more about their genetic parentage. Over the next 30 years, gamete donation will be much more open with donor registers, including voluntary retrospective registers, being established in every Australian state. This is, in my view, the most likely area for significant advance. 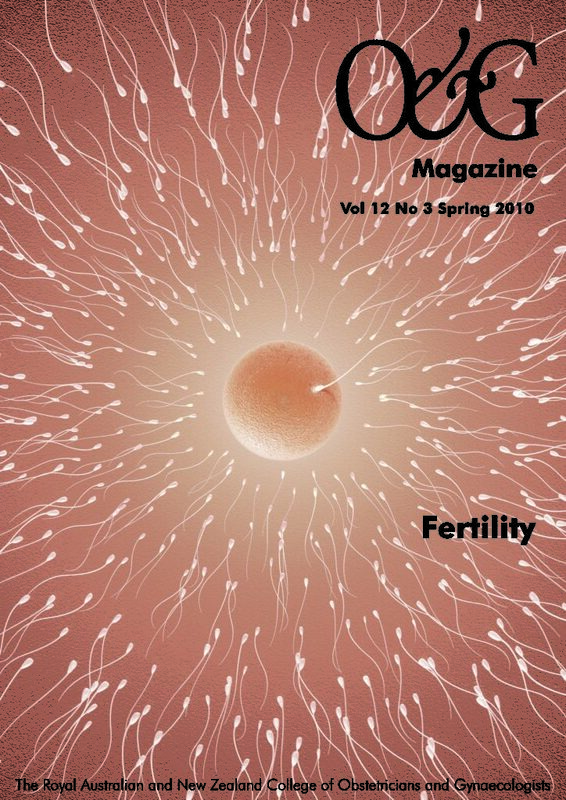 Half the genetic material in an embryo comes from the spermatozoa and there have been enormous advances in our understanding of sperm biology over the past decade; advances that are yet to translate into benefits in clinical practice. A woman doing IVF will present with eight to nine eggs while her partner will provide 80 million sperm cells. There is thus far greater potential for effective gamete selection through better understanding of sperm biology and it is highly likely that developments in this area will significantly change clinical practice in the next few years. Developments in IVF have been paralleled by exponential advances in molecular biology over the same time period. We are now able to use polymerase chain reaction technology to study expression of single genes in human embryos. Techniques for studying the whole genome, such as comparative genomic hybridisation7, are emerging. At present, these still pose serious methodologic problems. However, the development of more rapid and sophisticated microchip technology is likely to make this very much easier in the next few years and we will be able to have a more sophisticated understanding of the future health of each embryo in the laboratory. Clearly, there will need to be public discussion of the important ethical issues involved in handling all this information over the next few years. However, in the past, we have been able to responsibly resolve the ethical issues raised by developments in reproductive medicine in a manner that Australian and New Zealand society has accepted and we can achieve this again. And when Candice Reed is 60? So, finally, to stick my neck out, how do I think IVF will look in 30 years time, when Candice Reed is celebrating her 60th birthday? We will be using low dosage single injection FSH regimes based on short antagonist protocols. We will have access to a range of microchips for easy and rapid pre-implantation diagnosis. We will have a better understanding of the role of the sperm in ART, with new tools for sperm diagnosis and selection for ICSI. 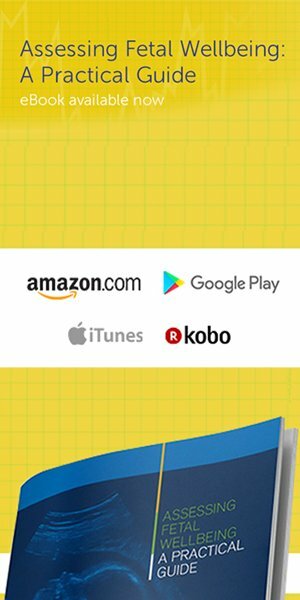 We will have much more sophisticated techniques for assessing early human embryos (although these may not significantly improve IVF success rates). Embryonic stem cell lines will have been supplanted by new ranges of adult stem cell lines with the same potential for future tissue generation. Younger women will be able to use these techniques to identify the right embryo and conceive a little more quickly than at present, but things will still be very difficult for older women trying to conceive. Wang YA, Chambers GM, Dieng M, Sullivan EA. Assisted reproductive technology in Australia and New Zealand 2007. Assisted Reproduction Technology Series no. 13. Cat. no. PER 47. 2009. Canberra: AIHW. Nagy ZP, Chang CC, Shapiro DB, Bernal DP, Kort HI, Vajta G. The efficacy and safety of human oocyte vitrification. Semin Reprod Med. 2009:450-5. Fauser BC, Mannaerts BM, Devroey P, Leader A, Boime I, Baird DT. Advances in recombinant DNA technology: corifollitropin alfa, a hybrid molecule with sustained follicle-stimulating activity and reduced injection frequency. Hum Reprod update. 2009 15(3):309-21. Wang YA, Kovacs G, Sullivan EA. Transfer of a selected single blastocyst optimizes the chance of a healthy term baby: a retrospective population based study in Australia 2004-2007. Hum Reprod. Advance Access June 2010. Hansen M, Bower C, Milne E, de Klerk N, Kurinczuk JJ. Assisted reproductive technologies and the risk of birth defects – a systematic review. Hum Reprod. 2005 Feb; 20(2):328-38. Davies M. Comparative risk of birth defects across ART treatment modalities and spontaneous pregnancies within a population cohort. O- 136. (AQbstract) ESHRE Annual Meeting, Rome 2010. Wilton L. Preimplantation genetic diagnosis and chromosome analysis of blastomeres using comparative genomic hybridization. Hum Reprod update 2005 Jan-Feb;11(1):33-41.